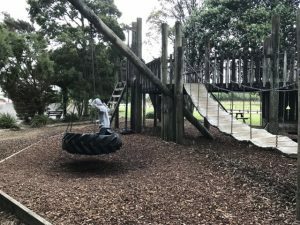 Going to the playground or skatepark isn’t necessarily what you’d think of doing when in Golden Bay but sometimes kids just want to be kids and do something that is completely familiar to them even if the setting is new. 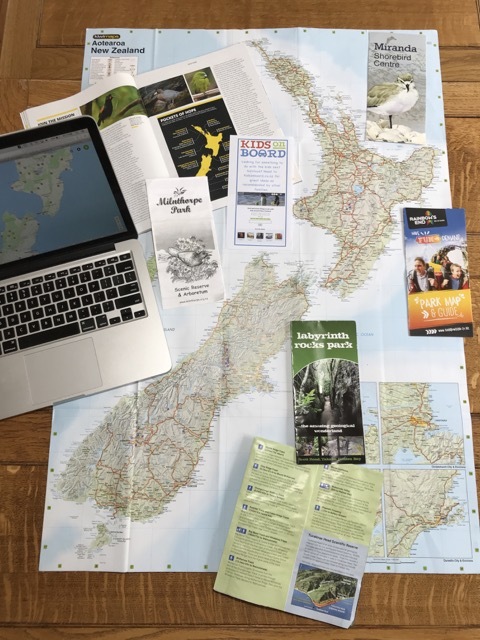 And let’s face it, if anyone in your party wants to browse the Takaka shops, disinterested kids are best left in the playground with someone supervising! This little playground and small skatepark are tucked behind the shops on the main road although also accessed by Reilly Street. The playground equipment is almost entirely wooden with a centre piece of a big fort. One end has things for younger kids – a small slide, a giant wooden car with steering wheel. The other end of the fort is all higher off the ground with a fast slide, bars for swinging down, a fireman’s pole. In between, there’s a tunnel, a couple of rock climbing walls and a wobbly bridge. There’s also a giant tyre swing and some preschooler swings. Just next to the playground is a small skatepark with some ramps and a couple of rails. This backs onto a carpark with no real barrier so you’d need to keep an eye on little kids. There are public toilets next to the playground and a little patch of grass with a couple of picnic tables before you get to the main road. 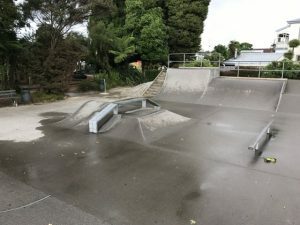 Address: access this playground and skatepark either via a path near 63 Commercial Street (SH60) or directly from Reilly Street, Takaka. There is street parking on both as well as a carpark accessed from Reilly Street.